Sunny day, wind straight down the strip from the north – what more could one want? It was enough to tempt the pair of K6’s and the K7 out. The lack of flying over the last couple on months did mean that the was rather a long list of folks needing check flights so the K13 and duty instructor were kept busy. 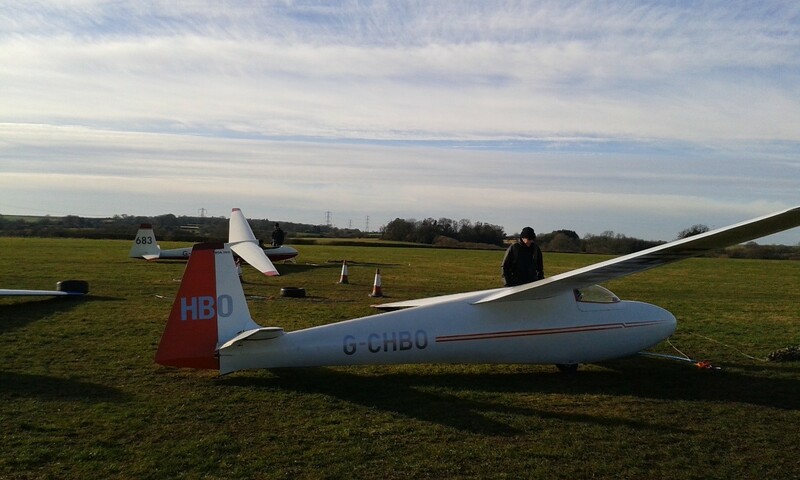 Not quite enough wind to keep the ridge working reliably but there were thermals to be used. Ken R demonstrated how to stay airborne with his 1:16. Second place honours were also taken in the same K6 by Bill C with 56 minutes. Plaudits for the smoothest landing goes to Alan P making his first flights since his spine operation. 34 launches and 7:18 of flying time. It wouldn’t be Wednesday flying without mention of cake – Tony P not only had baked a cake but also made a cheese cake which was made short work of.